From Veľké Vozokany, a path leads to the memorial dedicated to the famous battle of 26th-27th August 1652 between the Turkish and the Hungarian troops. In spite of the Turkish superiority, the battle was won by the Hungarian soldiers. In 1734 the Esterházy family had a 5m-tall stone obelisk built in this place, to the honour of the four members of the family who died heroically in the battle. 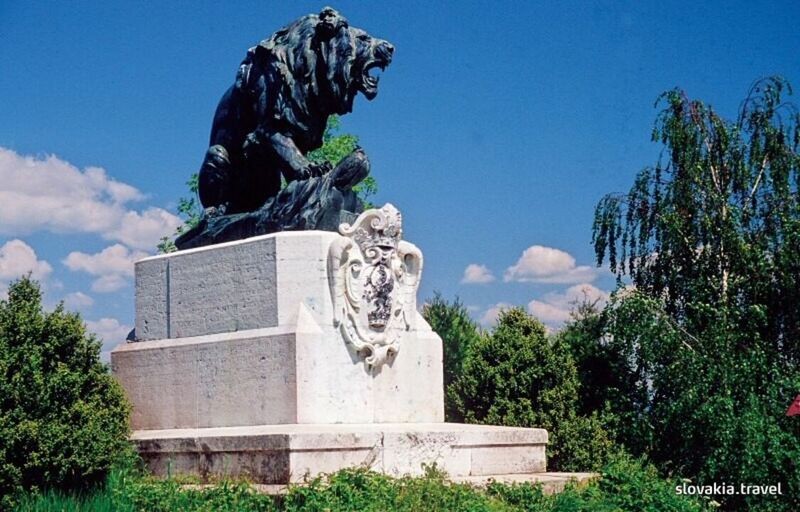 In 1896, the original obelisk was replaced by the present memorial consisting of a bronze lion crushing the Turkish flag with his front paw, and a travertine pedestal. On the pedestal there is a Latin inscription that can be translated as “Stop, the wanderer, and read”.